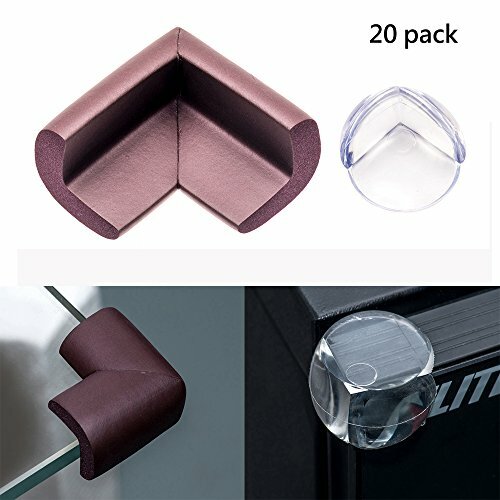 ✅【What you get】Get 10 Thicken soft corner guards and 10 Transparent circular corner protectors. ✅【Easy to use】Easy to installation,Includes 3M double-sided tape,no extra purchases required. ✅【Easy to clean】Will not damage the furniture or paint,you can use a hair dryer to soften the glue and peel off it slowly,if there is residue,can use a hot towel or detergent wipe and clean. ✅【Environmental and safety】Uses the safest and purest raw material available,this product contains no phthalates, no heavy metals, no latex, no SCCPs. ✅【Warranty】100% money back guarantee and 1 year warranty.TIP:please spend two minutes read the below description.